The governor of Hakodate and Suite. Home » The governor of Hakodate and Suite. The governor of Hakodate and Suite. While witnessing the wrestling match. From the book: Two journeys to Japan. 1856-7, by Kinahan Cornwallis. Illustrated by the author. Published by Thomas Cautley Newby. London 1859. 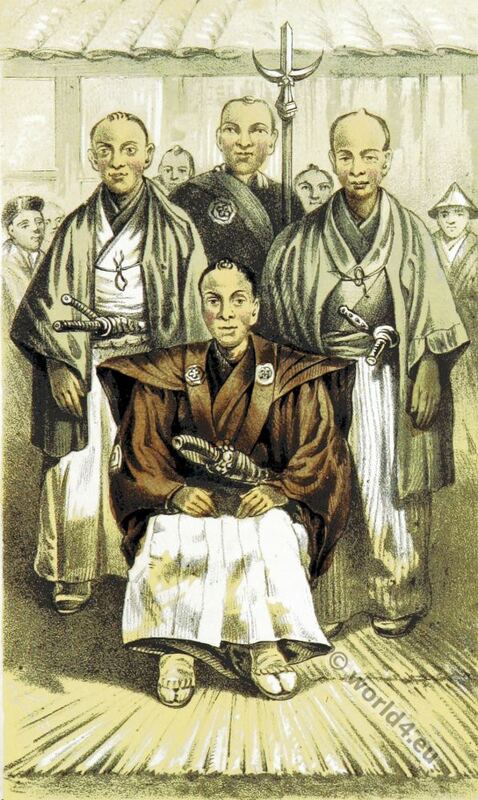 This entry was posted in 1857, 19th Century, Asia, Japan and tagged Kinahan Cornwallis, Traditional Japanese costume on 8/2/15 by world4.